Viking warriors lurk in the undergrowth, biding their time – before suddenly launching themselves at an enemy tribe with a ferocious roar. But wait … is that a selfie stick one of them is using to capture the scene? 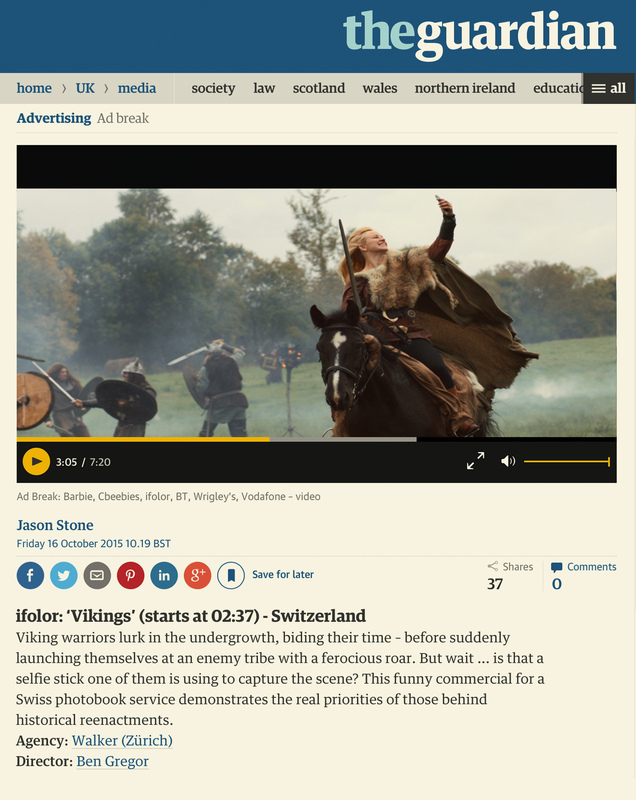 This funny commercial for a Swiss photobook service demonstrates the real priorities of those behind historical reenactments.